I admit, I’m not Jewish. But I grew up in a part of Delaware with a sizeable Jewish population, to the point that I attended one of the few schools were they took the idea of a Judeo-Christian ethos seriously enough to actually give us the day off for Jewish holidays as well as Christian ones (as they should.) As a kid, I was obsessed with matzah, to the point that I used to trade for it with the kids in my school (now I feel kind of bad, as they were eating my pb&j on bread!). Of course, as they informed me, I might not have loved it so much if I was required to eat it. But I wasn’t and so to this day, I still buy some in Whole Foods for a delicious snack! Note that these squares have no eggs, so it would work if you have someone with an egg allergy at your dinner. Start by combining the unsalted butter, caster sugar and honey. 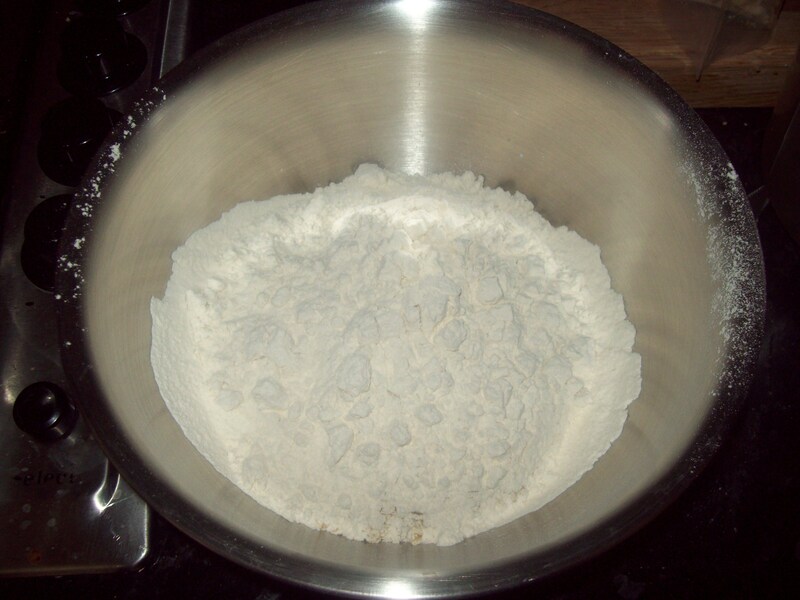 Heat in a saucepan until you have combined all of these and the sugar has dissolved into the mixture. 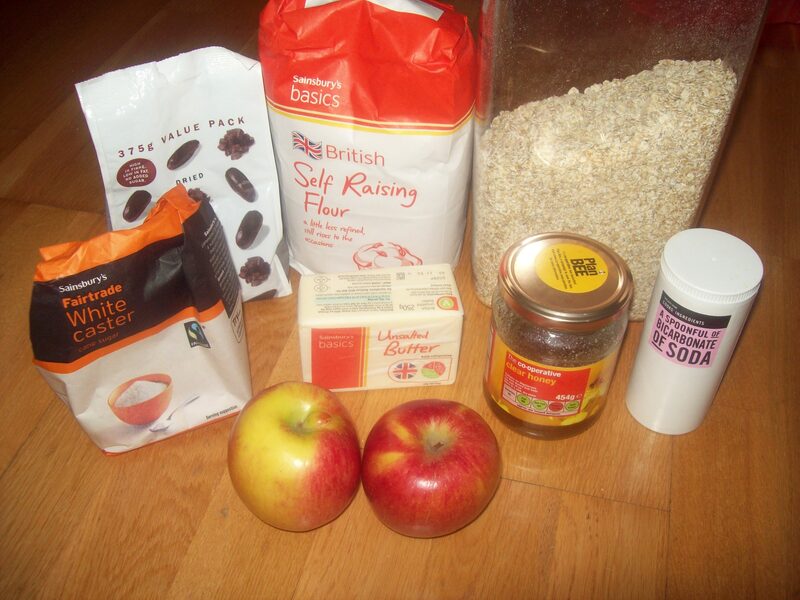 While that is mixing, combine oats, self raising flour and bicarbonate of soda in a mixing bowl. 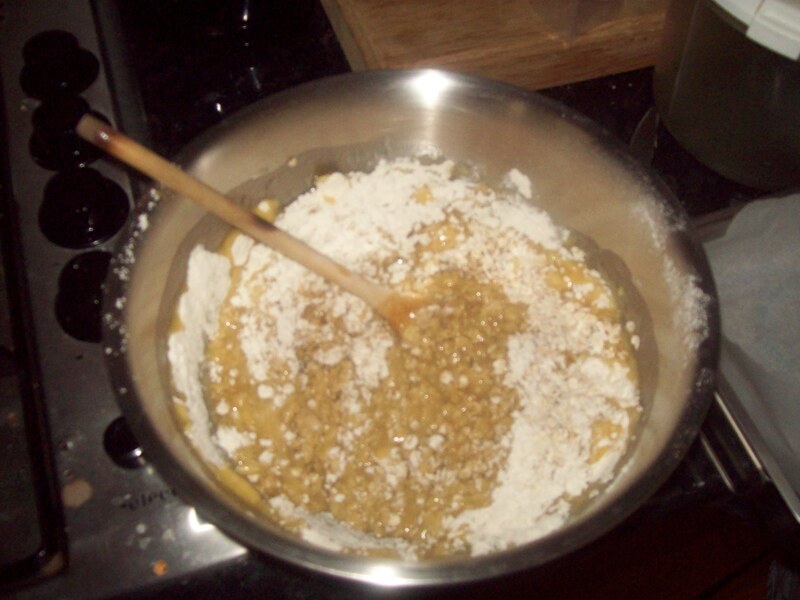 Mix in the honey/butter/sugar mixture into the oats/flour combination until you basically have a buttery oat mixture! Once it’s combined, you start layering the squares. 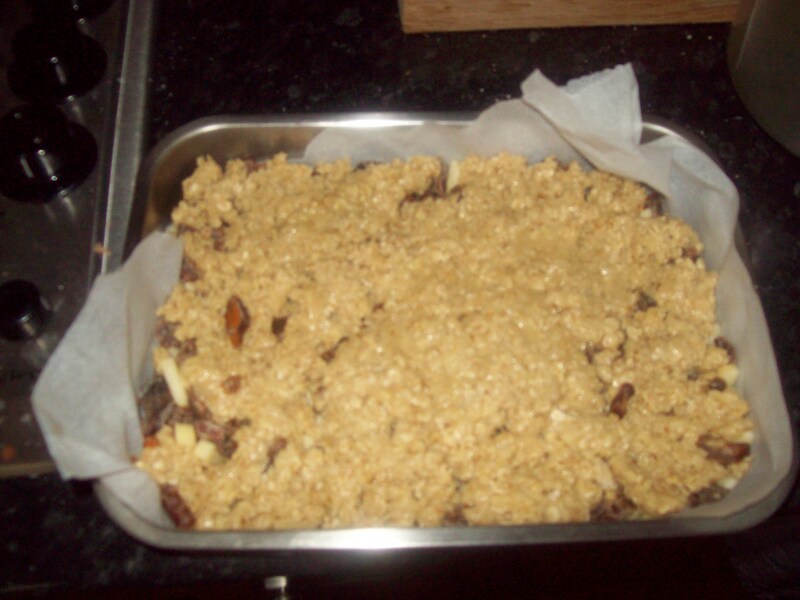 The new mixture is used to make the top and bottom layers, with the dates and apples in between. 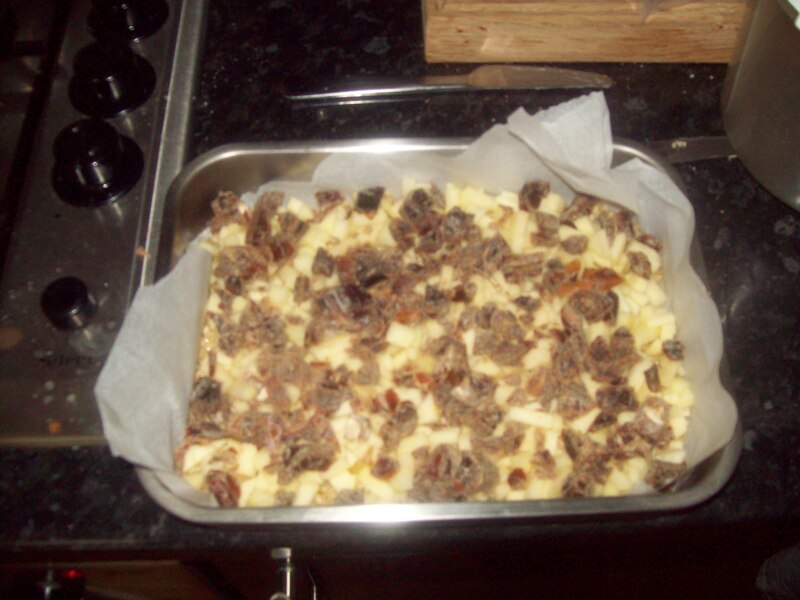 Put half of this mixture on the bottom of the tin (lined with parchment paper) and cover with the combined apples and dates. Finally, cover with the second half of the mixture. Cut into squares and enjoy (preferably while reflecting on the last year and your hopes for the next one!) Happy New Year, everyone! 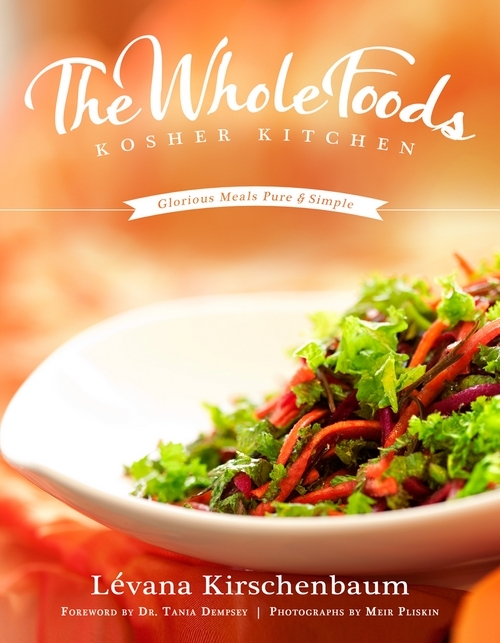 If this has inspired you into the Rosh Hashanah baking spirit, how about entering to win this copy of The Whole Foods Kosher Kitchen? Just leave a comment below telling me whether or not you’ve ever been to a Rosh Hashanah supper and if so, what was your favourite meal? Be sure to check out the other blogs for other chances to win! rounc challah drizzled with honey! Thanks so much for organising, Jessie! These look delish!! I have dates in the pantry and I’ve been looking for new ideas! Dates can be a tricky one (I always have a little bit too much as well!) Interested in entering the competition? 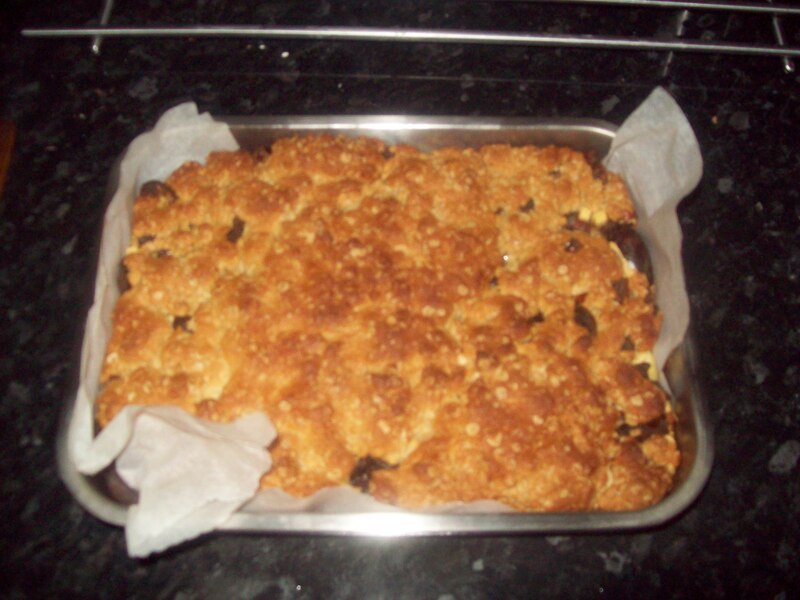 I love the combination of apples and dates in this recipe! Looks delicious, thanks for joining the party! My ginger strawberries with a twist… honey, a must have for the holiday.